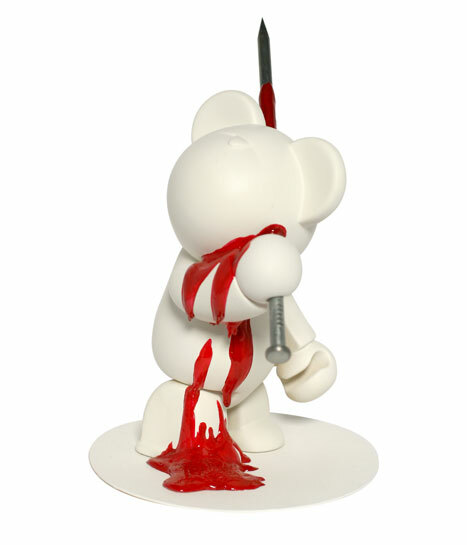 New York city’s My Plastic Heart is selling some open box figures from Bax Series 1. 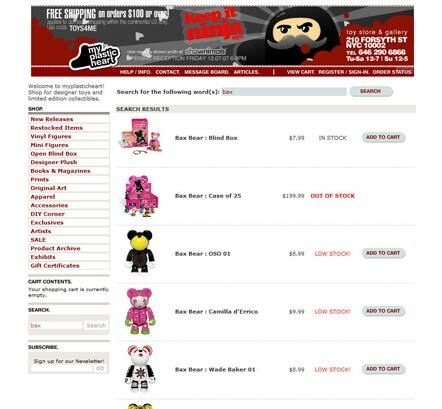 So if want a specific figure then head over there and search for “bax”. Stocks are low so get them while they last! 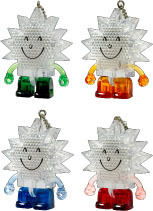 They also have lots of blind boxes left and the Bax D.I.Y figures. 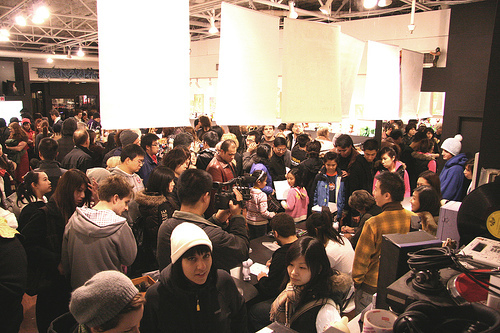 Don’t live in New York City and want to save on shipping? 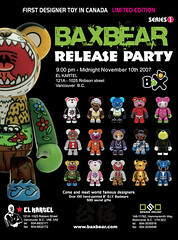 Then head down to your local designer toy shop and ask them when their shipment of Bax Bears is coming in. 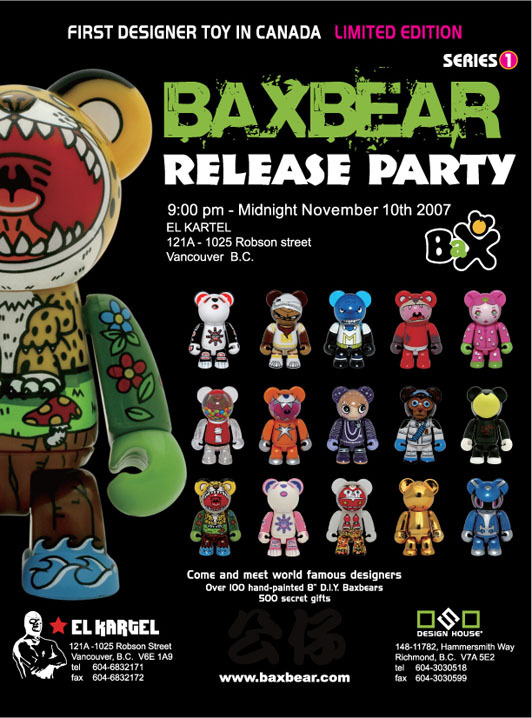 With the launch of Bax Bear Series 1 we also kicked off the Bax D.I.Y World Tour with a huge gallery show of custom bears here at El Kartel in Vancouver, British Columbia. 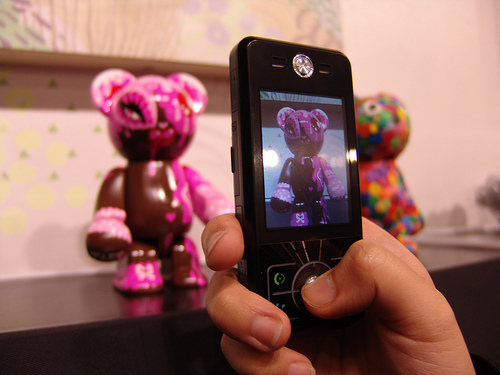 Everyone at the opening cast their vote for their favorite custom bears and here are those results! 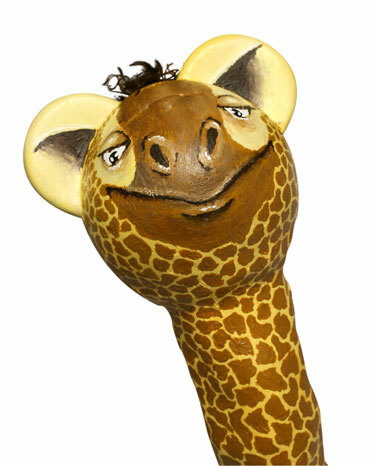 Coming in last but not least, Bear number 110, Josh‘s amazing Giraffe Bax design. 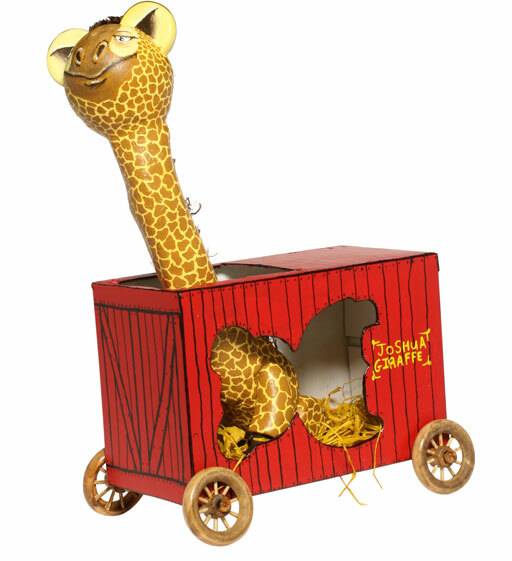 Custom sculpted neck and body, this fellow also comes in a hand built caravan cage. Great job Josh! 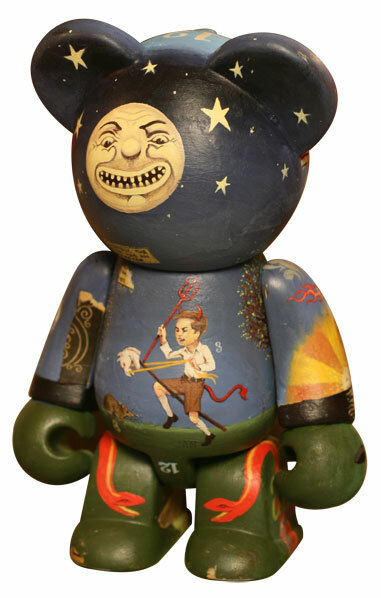 At number 4 – Bear #82, created by artist The Dark. This Bax had a bit of an accident. Although a simple design, it’s harshness really struck a chord with the crowd. 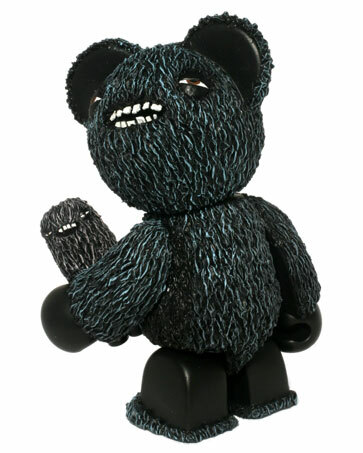 Bear # 119 takes the 3rd place spot – it’s Alex Rothbaver ‘s excellent hairy Bax creation. 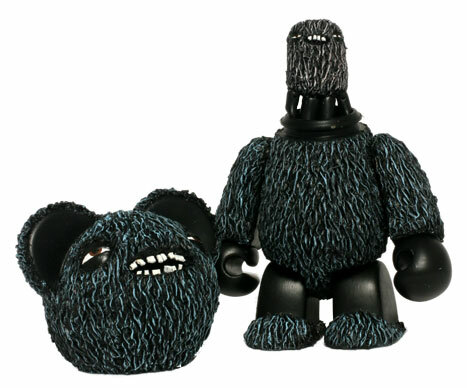 Covered in custom sculpted texture, this Bax even comes with his own side kick. 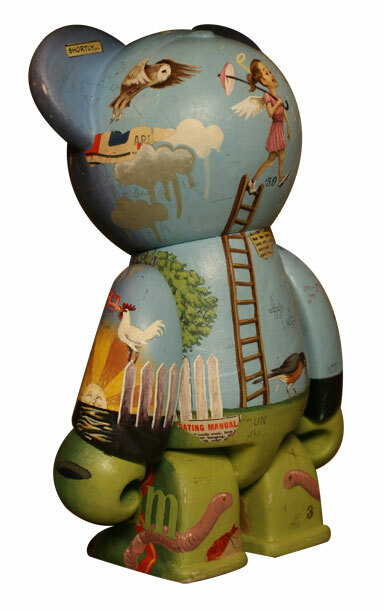 Our runner up of the show is bear # 147 – Eli Horn‘s Bax Bear. This slick design features life like human lips and tongue. Amazing tag/typography on the front of the bear. Good Stuff! 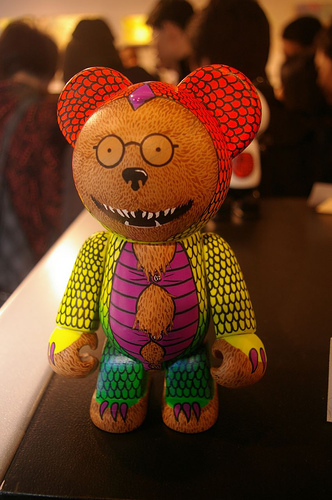 And finally, The most popular bear is… Dave Barnes ‘s creation. An extremely detailed figured enclosed in a intricate viewing box. 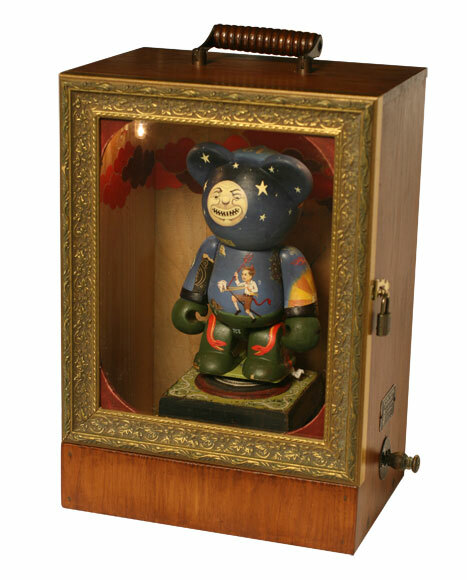 This stylized bear sits upon a podium inside the case that can be rotated by handle outside the box. Outstanding work Dave! Congrats to all that participated in the show! 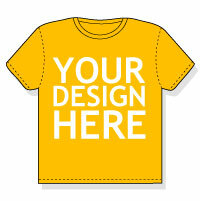 We are still accepting custom bears so get to work! You can find the D.I.Y Bax at your local designer toy shops. 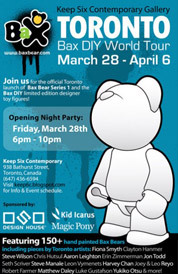 Thanks to everyone who came out to the official Bax Series 1 Release Party! 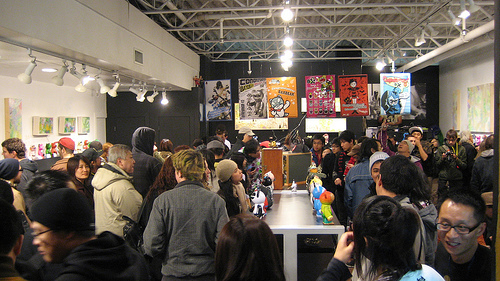 We kicked the official Bax Bear Tour off in style here in Vancouver at the amazing El Kartel shop. 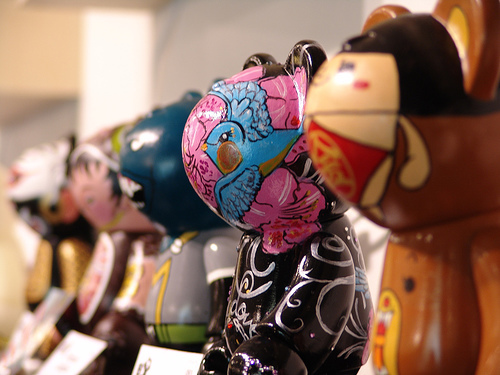 We had an amazing turn out with hundreds of people showing up to check out the almost 200 hand painted 8″ D.I.Y Bax bears. 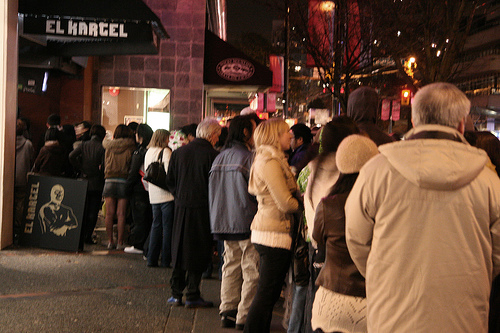 The place was so packed there was a line up outside of people waiting to get in. 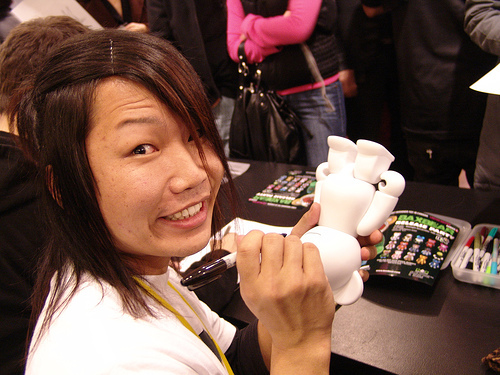 We flew Kei Sawada out to join the other local artists Camilla d’Errico, Wade Baker, Jason Pultz, Jason Prain and The Dark to sign figures for the fans. 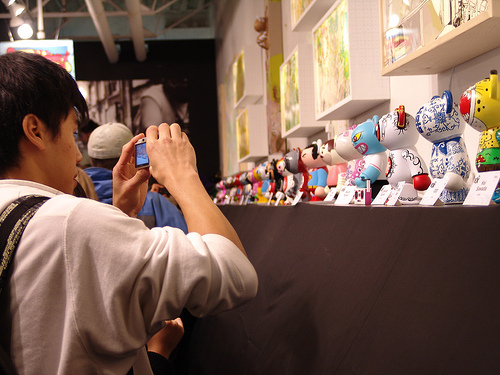 Stay tuned for our next post – The voting results of the top 3 Bax customs! 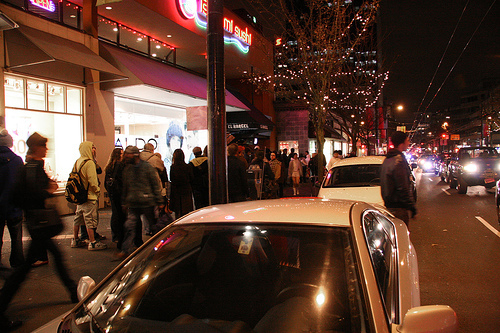 All hi-res photos of the event can be found in our flickr photo stream. You can see short video clip of the evening here on youtube. Come out and meet some of the artists, trade figures with your friends and try your luck at finding the Super limited 14k Gold Plated Bax! Click on flyer to see the details.